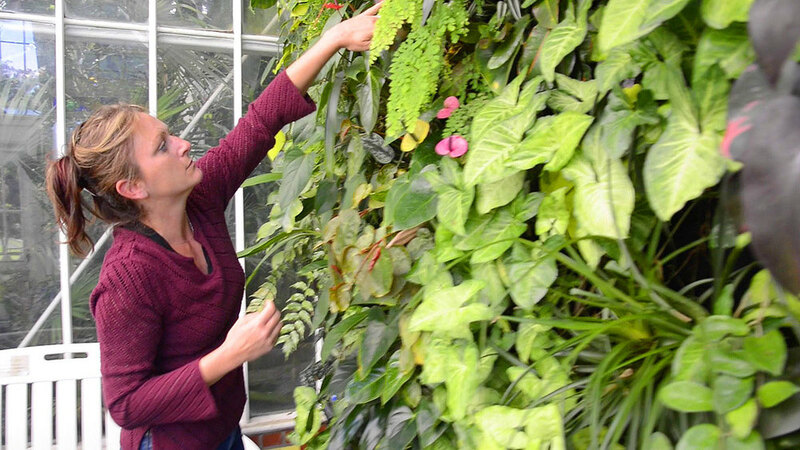 Horticulturist Steph Kantorski describes her experience using the Florafelt System for the San Francisco Conservatory of Flowers vertical garden. 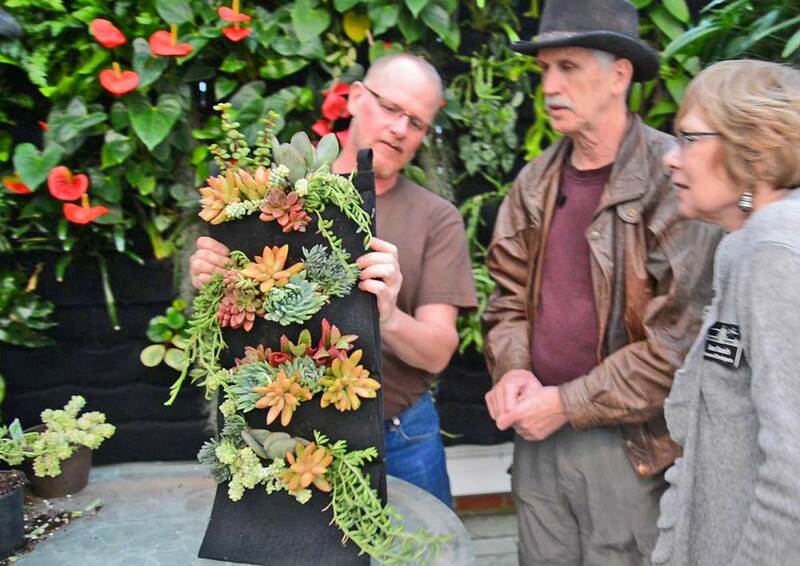 Chris Bribach demonstrates how to create a simple succulent Florafelt vertical garden at the Conservatory of Flowers. 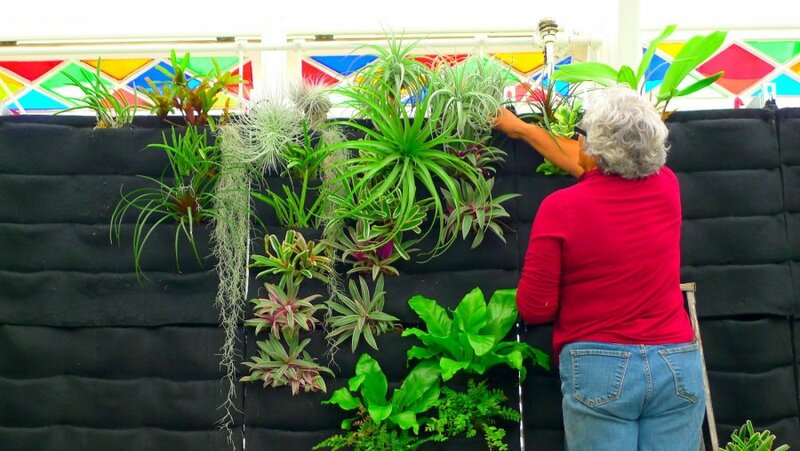 VIDEO: Chris Bribach of Plants On Walls installs a Florafelt Vertical Garden at the Conservatory of Flowers. September 2012. Guadalupe Cota, Senior Nursery Specialist. Conservatory of Flowers, San Francisco. San Francisco Conservatory of Flowers. 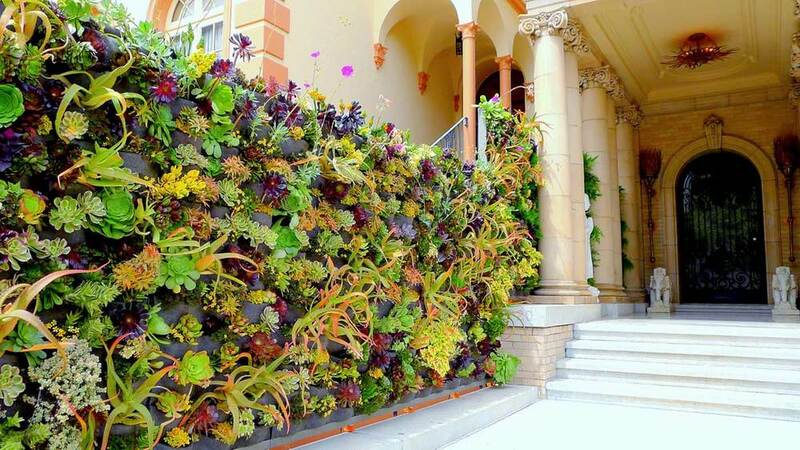 Florafelt Vertical Garden System. A dripline water and nutrient-delivery system also donated by Plants On Walls kept it lush and beautiful. Not long after, Guadalupe left the Conservatory and Nursery Specialist Mario Vega maintained it for the next few months. That’s about where I came in. 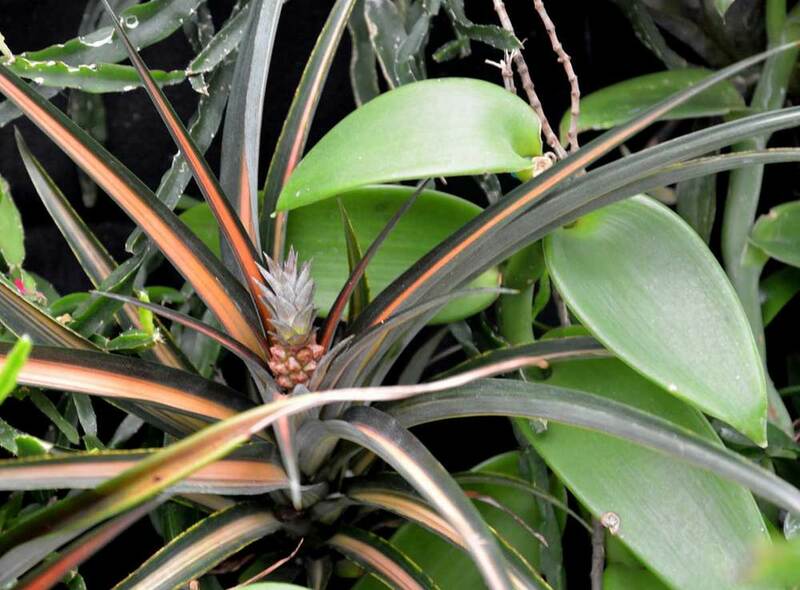 Pineapple plant and vanilla orchid. 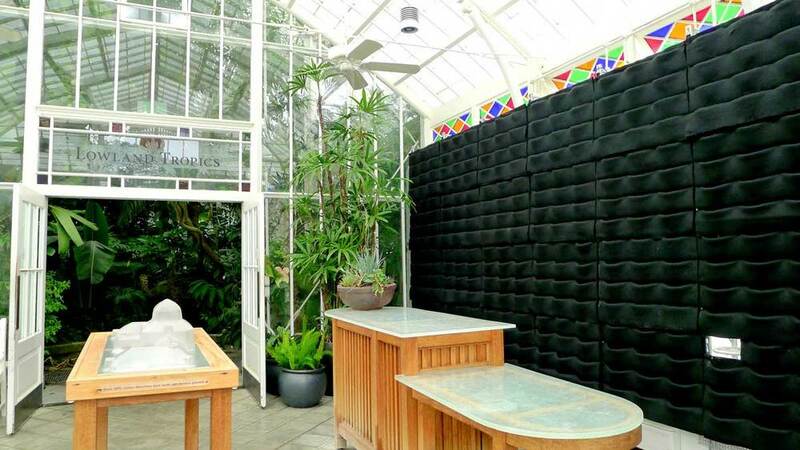 Conservatory of Flowers. 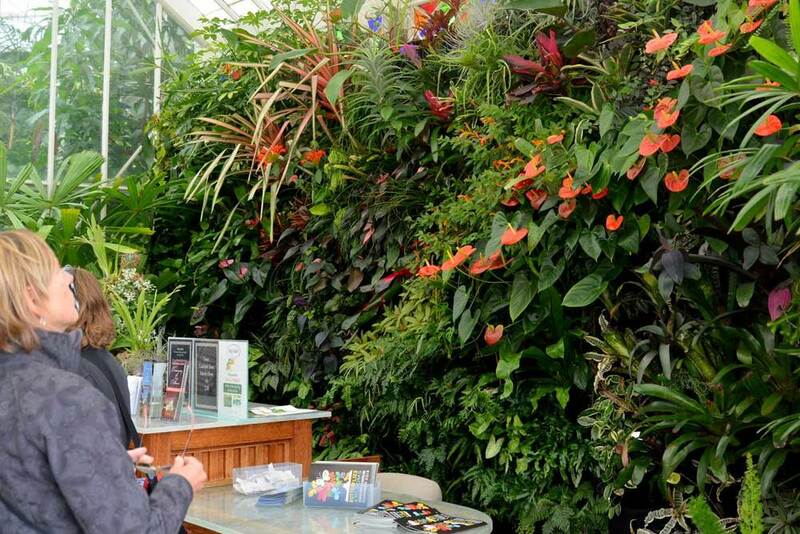 Florafelt Vertical Garden System. 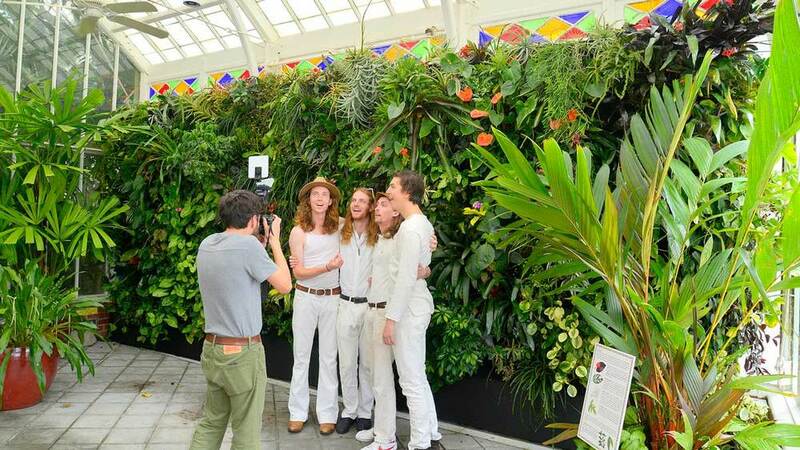 Hibbity Dibbity band’s photo shoot in July 2016 at the Conservatory of Flowers, San Francisco. Florafelt Vertical Garden.